Luck, as defined by the Cambridge Dictionary, is the force that causes things, especially good things, to happen to you by chance and not as a result of your own efforts or abilities. Winning the lottery would classify one as being lucky and for the amateur golfer, so is a hole-in-one. The athlete who trains for their sport day after exhausting day, the straight-A student who reads and studies extensively, the person who changes their eating habits and becomes more active and returns to their ideal weigh…their success has nothing to do with luck and everything to do with action and choices! What about health? Is it luck that allows children to be born drug free and without intervention? Is it luck that those same children enjoy a childhood free from ear infections, antibiotics and trips to an urgent care facility for every illness that happens to be going around? What about when they grow into adults who do not require major surgeries, countless prescription and over-the-counter drugs and ultimate confinement to a bed in a nursing home? The answer, is no. It involves effort and choices. Paying close attention to eating a healthy menu of food and exercising on a regular basis is helpful. These actions are of vital importance to overall good health; however, there is another piece to the puzzle. You were born with the Innate Intelligence that gives your body the ability to heal from the inside out. From the moment of conception, the power that made the body heals the body. You must choose to trust your body to do its job. In order for your body to do this, the pathways by which it receives its messages from the nervous system must be clear. The function of every cell, tissue and organ depends on it. Interference in this communication can be caused by events such as birth, or a fall, or a sports injury, or a car accident. Interference can also be caused by choices such as eating poorly, drinking too much, strenuous work, heavy exercise or not enough movement. Outside influences such as stress at school or work, chemicals in our food and toxic exposure affect the nervous system. The effects of interference can express itself in ways such as physical illness or pain. 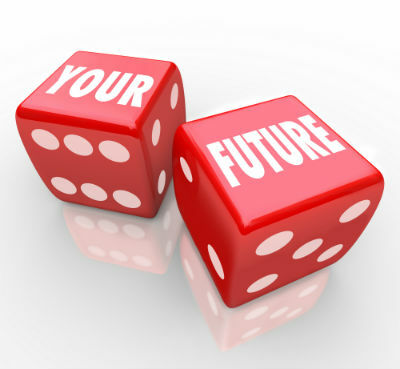 It may occur today or it may occur in the years to come, but when it occurs and how should not be left to luck. A chiropractic examination will determine if you or your loved ones have spinal or nervous system interference. A chiropractic adjustment is the way to remove that interference. The beneficial side effect is a body that has the ability to heal itself from the inside out, just as it was meant to do. The need for sick days, medications and surgery decrease and the potential to live a long, healthy, active life increases. Who would not want that for themselves and their loved ones? Choose chiropractic for your health, get your spine checked and get those you love checked. When we make a choice, when we take action, when we put our abilities to work then good things happen. Enjoy living life at your best instead of hoping you are just lucky.